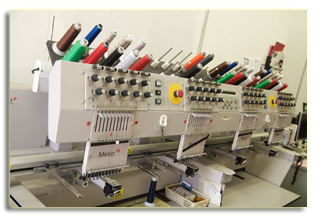 Our embroidery operation is capable of handling orders of any size. We also welcome the opportunity to work with other embroiderers to help handle your overflow jobs. We can make your logo come to life with our in-house digitizing department or use your already digitized design format. 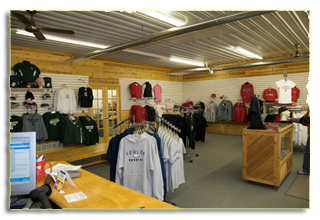 Each item is embroidered on-site by our qualified staff. Call today for wholesale contract embroidery pricing with a quick turnaround time. We are a promotional product retailer and design company. Promotional products, also known as ad specialties, are a large part of what we do for our customers. Items like mugs, pens and t-shirts are memorable and provide a better cost per impression for advertisers than almost every major marketing effort. We are able to supply your company with every possible promotional product that exists. Our mission is to be come your on-demand promotional products, screen printer, and embroidery supplier. Our screen-print shop includes on state of the art 8-Color automatic press and one manual 6-Color station press allowing us the versatility to handle several jobs simultaneously. Whether you need total support for your project from art concept and creation to final garment printing, we have the tools and staff to handle your project in-house from start to finish. 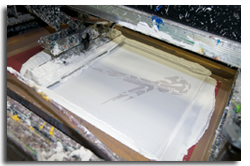 We also welcome all Distributors to utilize our on-site contract screen-printing services. You can focus on sales and we can be your silent partner on the manufacturing end.